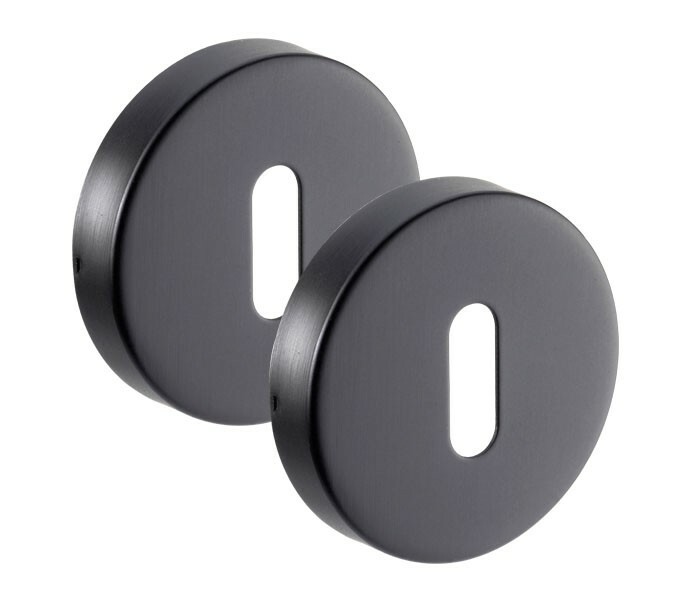 These stunning black escutcheons are the perfect option to be used in conjunction with our matte black levers on those doors that require key locks. 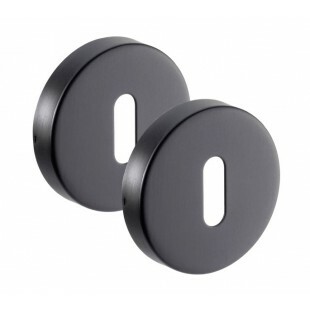 The black keyhole cover acts as a sleek yet practical component of your door hardware to create a smooth and attractive appearance whilst keeping the key hole neat and tidy. 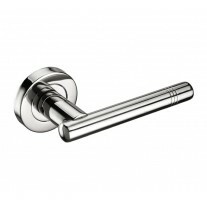 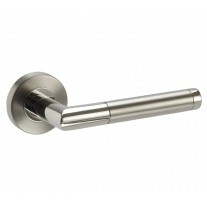 The matte finish provides a deluxe and stylish aura and looks great in a range of styles of décor. 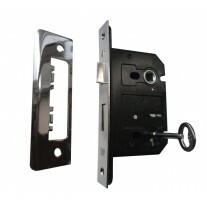 The black escutcheons are supplied in pairs, one for use on either side of the locking door (key locks can be purchased separately). 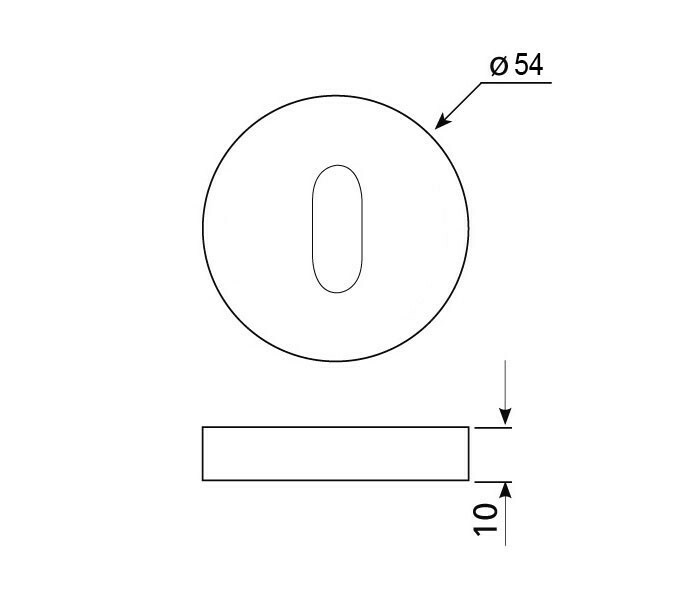 They have a 10mm thickness and diameter of 54mm, fixing screws included.